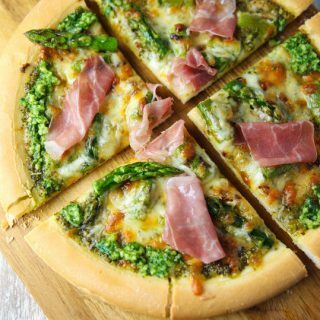 This Lemon Pesto Asparagus and Prosciutto Pizza is made with fresh ingredients and is incredibly savory! It’s the perfect Springtime pizza! 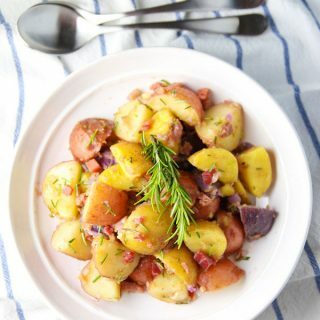 This Lemon Rosemary Prosciutto Potato Salad (No Mayo) comes together in about 15 minutes and is INSANELY delicious! Definitely a crowd favorite! 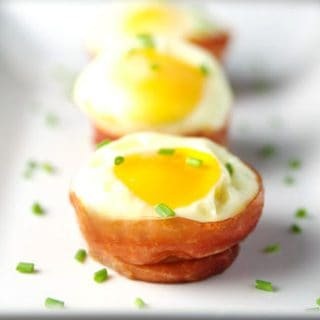 These Prosciutto Cheese Egg Cups are super easy to make. This is perfect for meal prepping and is a great Low Carb Breakfast! 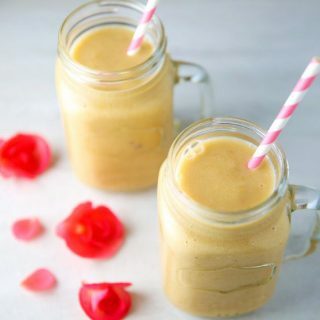 This Papaya Tropical Smoothie has fresh, natural, healthy ingredients and is dairy free! 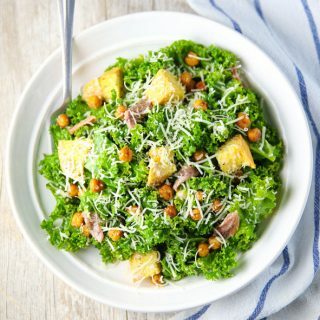 This Kale Caesar Salad with Spicy Roasted Chickpeas is super easy to make and is INSANELY delicious! 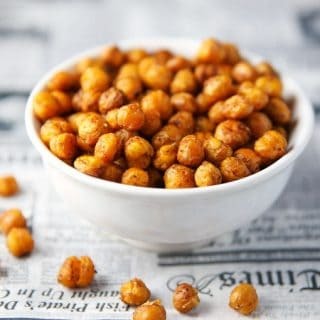 These Spicy Roasted Chickpeas are made with simple ingredients. This could be the perfect healthy snack! 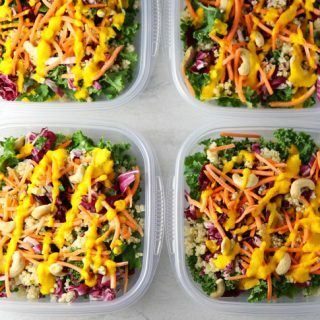 This Asian Quinoa Kale Salad is perfect for Meal Prep! Very little prep involved and you have healthy lunches for the whole week! 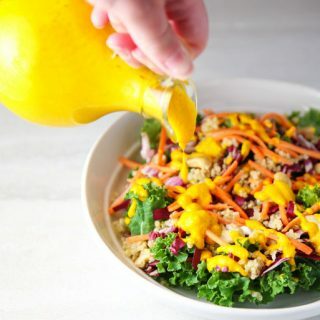 This Carrot Ginger Dressing is made with simple fresh ingredients and is incredibly delicious! 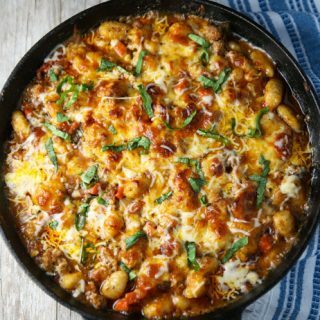 This Easy Gnocchi Bolognese Bake is so cheesy, hearty, and savory! Definitely a crowd favorite! 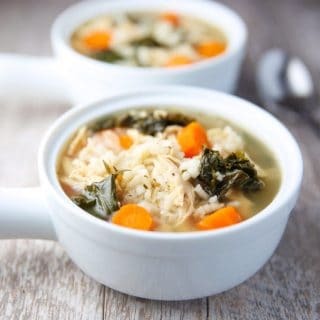 This Slow Cooker Lemon Chicken and Rice Soup with Kale is so healthy, hearty, and savory! This will be your new favorite soup!